Disney® provides continuous complimentary shuttle from any park to anywhere on Disney® property until closing, by Disney® buses, monorail, or ferry boats. Please visit out Guest Services Desk to see the most up-to-date schedule. If you need Airport Transfers, Taxi service or group transportation anywhere in Central Florida, please visit our website at www.platinumtransportation.com or call us 407 492-8888 . We provide service 24/7. * Platinum Transportation Inc does NOT provide complimentary transportation to or from Disney® Special events such as “Not so scary Halloween”®, “Mickey’s very Merry Christmas Party”®, etc. Groups of 10 or more MAY NOT use the shuttle. Please consult Platinum Transportation Inc for alternative options. Shuttle departs promptly at scheduled time. Please be at the bus stop at least 10 minutes prior to the departure time, as the driver does not announce the departures at the lobby or any area of the hotel. Shuttle operates on the first come first serve basis. Seats are limited. Standing room may be available. Wheelchair accessible reservations are available for ADA guests only who are confined to a manual wheelchair or an electric wheelchair. Reservations must be made 24 hours in advance. Smoking, food and drinks are prohibited at all times. Luggage, oversized strollers, mobility and recreational scooters, and other large items are not allowed on the shuttle. No reimbursements for any missed pickups. Contact the dispatcher if shuttle is delayed more than 20 minutes. Before boarding the shuttle please present room key/ voucher to the driver. Platinum Transportation Inc. is not responsible for any items left behind. Platinum Transportation Inc. reserves the right to adjust drop off locations to any alternative Disney World Parks for reasons including, but not limited to traffic, weather, road incidents, special events, etc. at driver’s discretion. 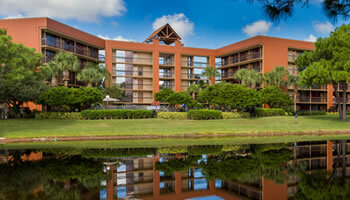 Guests have an option to transfer to original destination via Disney’s COMPLIMENTARY buses, monorail, or ferry boats. Pick up locations remain as scheduled. * Times may change slightly due to traffic and or weather conditions. * Schedules are subject to change upon notice from platinum transportation.